Captivating versions of some of the best myths and legends from around the world. TreeTops Myths and Legends are fascinating and action-packed stories that will motivate and inspire readers. These are some of the oldest and most enduring stories in the world, retold by leading contemporary children's authors to bring out all of the action, drama, humour and depth of the original stories in a way that makes them as exciting and meaningful today as ever. 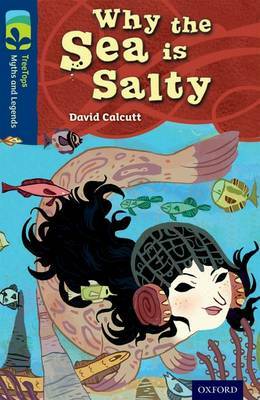 The stories are beautifully illustrated in a range of styles to bring each tale to life. Books contain inside cover notes to support children in their reading. Help with children's reading development also available at www.oxfordowl.co.uk. The books are finely levelled, making it easy to match every child to the right book. This pack contains 6 books, one of each of: How Winter Came into the World, Why the Sea is Salty, Helen of Troy, Dragon Tales, The Star Fruit Tree and other stories, Beowulf, Grendel and the Dragon.